The famous Sud-Express was not the only de-Luxe on the way to Spain. 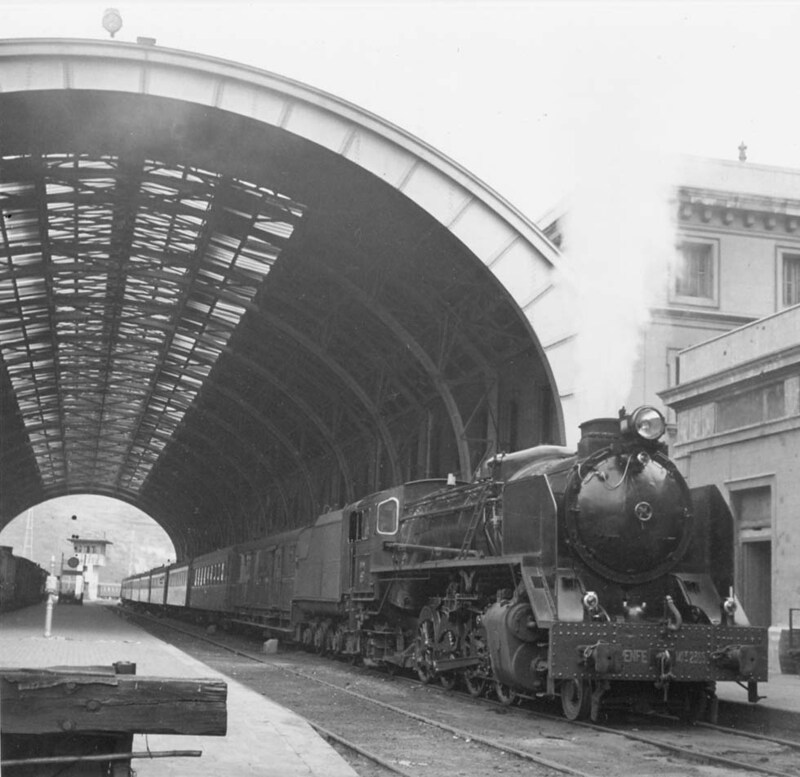 The Barcelona-Express connected Paris with that second important city of Spain, with change of trains at Port Bou, northward at Cerbere. Already the European Timetable Conference for 1889 had discussed a proposal by French PLM railway for a de-Luxe Paris - Barcelona - Valencia - Cartagena with boat connection to Algeria, “…dont la PLM a commencé à s’ occupier depuis plus de 20 ans…”. CIWL wanted to “close the circuit Paris - Rome - Naples - Palermo - Tunis - Alger - Oran”, proposed to add a sleeper for Spain to the Calais - Mediterrannée - Express and the Madrid-Zaragoza-Alicante railway MZA thought of a sleeper connecting at Alicante with boats to Algeria. A (poor) photograph of 1905 shows the Barcelona-Express between Narbonne and Port Bou with a 2-4-0 type PLM engine, only two wooden sleepers and a four-wheeled van. Later it ran via Toulouse instead of Lyon, most time as an ordinary train, no de-Luxe. On another train there was a Wagon-Lits from Rome to Port Bou. On the connecting train Port Bou - Barcelona the old wooden CIWL saloons were replaced in the ‘30s by the rare wooden series 4165-70 of the Cote d’Azur type. 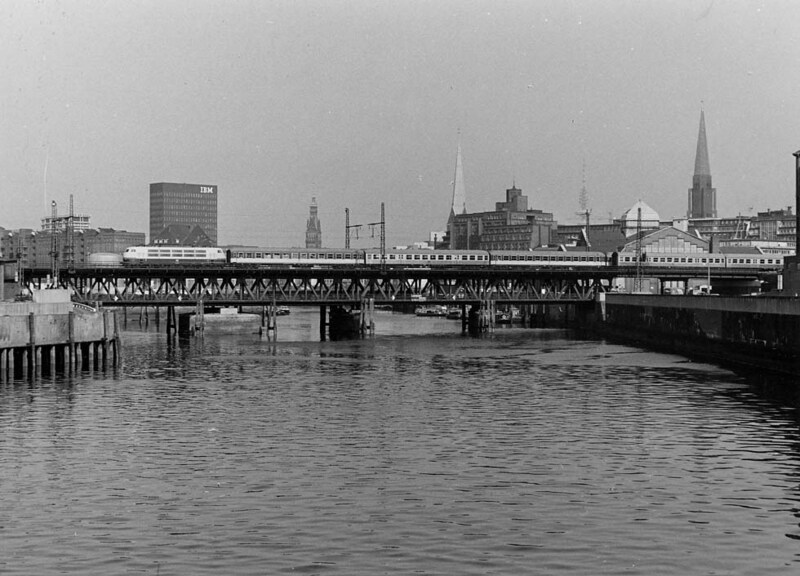 With introduction of the Barcelon-Talgo in 1974, the modest Barcelona-Express lost its name. 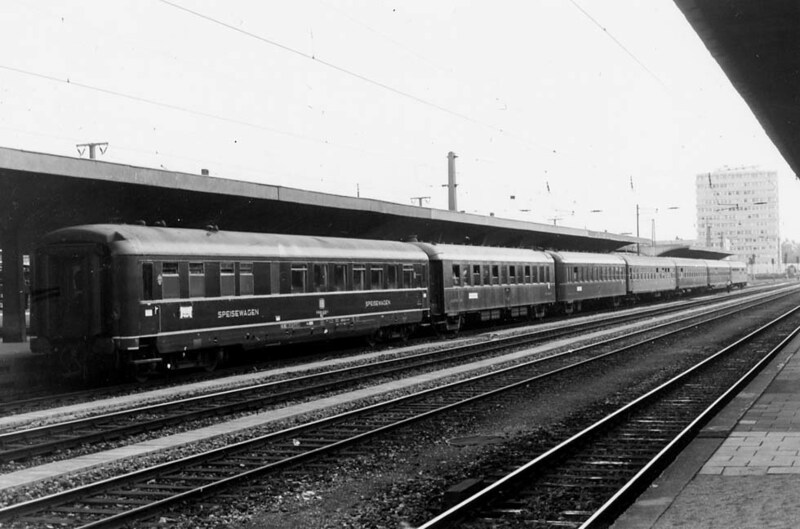 When after WWII migrant workers replaced the wealthy passengers, a Hispania-Express had been inaugurated, running from Copenhagen and Hamburg to Port Bou by the way via Basle, Neuchatel and Geneva. In Denmark it was hauled even by the last class E Pacifics, second-hand from Sweden. At Port Bou the expresses arrived with the oil-fired American 141R and some trains between Avignon and Narbonne were hauled by the elegant beast 241P. On the Spanish trains from Port Bou to Barcelona the wooden coaches were replaced by new light-green RENFE cars. 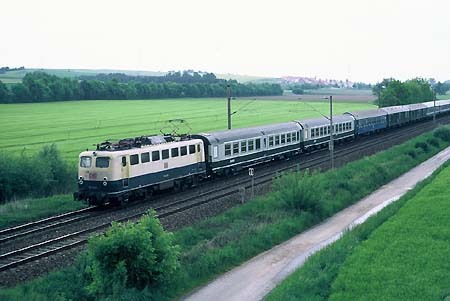 The trains were hauled by Mikados, near Barcelona replaced by the nice 7600 class electrics which resembled the record-breaking French CC7100. The light-green "Tren Rosa" connecting with the Barcelona-Express had a blue CIWL diner, formerly a Pullman saloon of the French Sud-Express, later re-painted brown/cream for the Nostalgic Istanbul Orient Express. Trains Barcelona - Madrid crossed the arid Aragon with the huge 241F 2200 Mountain engines. There were workers specials from Belgium, France, Germany and Switzerland to Irun and Port Bou as well as the blue Touropa and the new cream/red TUI FerienExpress couchette car tourist trains Dortmund and Hamburg - Geneva - Port Bou and other specials to the Spanish border stations. Seasonal trains from Germany with motorcar transport ended either at Biarritz or Narbonne. 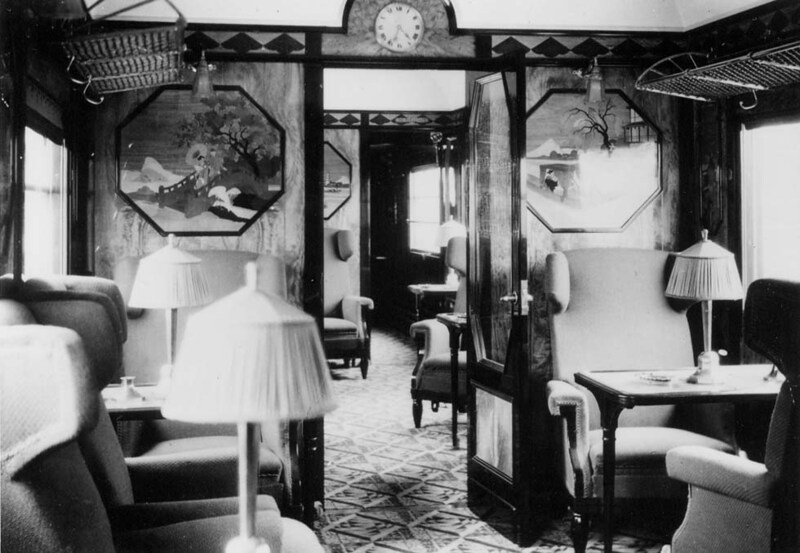 The Munich - Narbonne train included for some time, besides CIWL sleepers and DB couchettes, a red DSG diner which once had served Nazi boss Hermann Goering. 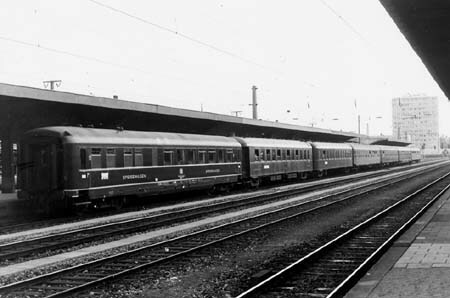 Then the only trains from Germany and neighboring countries to the Pyrenees region were the few pilgrims' specials for Lourdes, consisting of two French hospital cars and couchettes, sometimes even of rented Slovakian couchette cars. 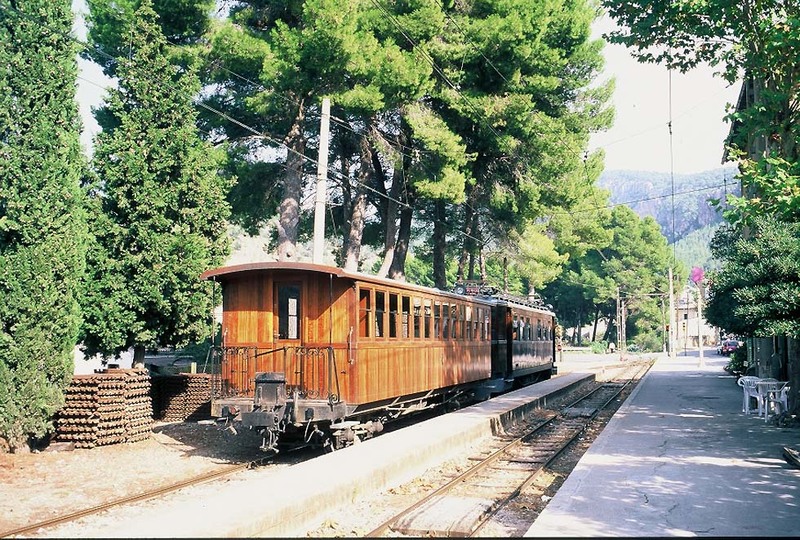 When the Germans had traveled to the Costa Brava by train, they could have continued by ferry boat from Barcelona to Mallorca island, where still now rumbles the last teakwood train on the 3ft-gauge Palma - Soller mountain line, opened in 1912 and electrified in 1929. 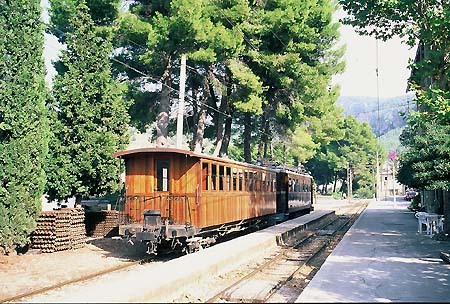 There is also a railway which once covered nearly the whole island, steam-hauled in the past, now with modern diesel railcars Palma - Sa Pobla and Manacor. And there had been other island lines, the tram of Tenerife, the steam tramway of Gran Canaria, the steam-hauled rack-and-pinion railway at Funchal on Madeira and, for freight only, a harbor railway at Ponta Delgada on the Azores with steam locomotives on 7ft-broad gauge. 141R (Mikado), 2 D (vans), 1 poste (mail), 3 WL CIWL, 1 WL P CIWL, 1 AcBc (couchettes), 8 Bc, AB, B. Colors: WL dark-blue, P stainless, SNCF dark-green, mail dark-red. Tren Rosa connection Port Bou - Barcelona: 141F, from Massanet electric 7600 ; van, coaches, WR CIWL ex Salon Sud-Express, coaches. Colors: WR dark-blue, RENFE light-green, 7600 light-turquoise. SNCF: Pacifics 231, Brive or Limoges - Toulouse 4-8-0 type 240A (rebuilt by Chapelon). Electrification 1.5kV dc Paris - Brive and Montauban - Toulouse - Narbonne completed in 1935, 2D2 5500, from 1954 also CC 7100, from 1962 BB9200, from 1972 also CC 6500. Narbonne - Port Bou Mikados 141R, from 1968/80 diesel BB67000. RENFE: 4-8-0 type 240 ex-MZA, occasionally Mountains 241-2000 ex-MZA, then Mikados 141F. Electrification 3kV dc, CC7600, then BB 269-500.